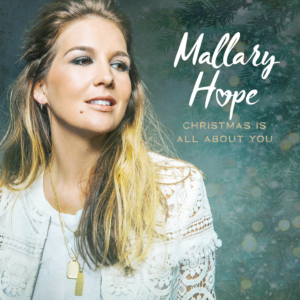 Nashville, Tenn. (Nov. 9, 2018) – Singer/songwriter Mallary Hope released her brand-new single, “Christmas Is All About You,” available now. Joining Hope’s previously-released Christmas songs, “Just A Baby (Mary’s Song)” and “Mary, Did You Know?” the expectant mother of two understands first-hand the busyness of the Christmas season. In her new heart-felt track, Hope invites listeners to press pause, and instead experience the deeper meaning of why we celebrate. To listen to “Christmas Is All About You,” click here. Joining her previously-released Christmas songs, “Just A Baby (Mary’s Song)” and “Mary, Did You Know?” Hope’s brand-new single, “Christmas Is All About You” is available now.